Chorley Garage Doors offer professional garage door repairs in the Chorley area including Adlington, Buckshaw Village, Brinscall, Coppull, Charnock Richard, Euxton, Eccleston, Heapey, Heath Charnock, Standish, Wheelton and Whittle Le Woods. 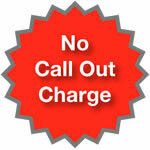 Chorley Garage Doors have a 7 days a week emergency call out service with no extra charges. Call us today on 01257 733 133 for prices and information or contact us online. We understand the security issues raised by a garage door that won't close. Chorley Garage Doors operate a 7 days a week emergency call out service with no extra charges and aim to fix your garage door in one visit. If we can't fix it there and then we will make it secure for free if you order a new garage door from us. Chorley Garage Doors can fix your garage door and even renew timber frames and fascias to enhance the repair, bringing your garage back to life and making it usable again. 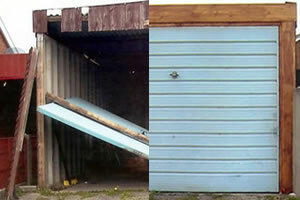 For more information on garage door repair services call Adam on 01257 733 133 or contact us online. Professional and friendly help with all of your garage door repair needs from Chorley Garage Doors.